Rafael Nadal and Roger Federer have played more sets than they are used to at Wimbledon. Federer played five sets in his opening match against Columbian Alejandro Falla and four sets in his second round matchup with Serbian Ilja Bozoljac. He has gone back to his old dominating ways since, and beat Frenchman Arnaud Clement and Austrian Juergen Melzer in straight sets. 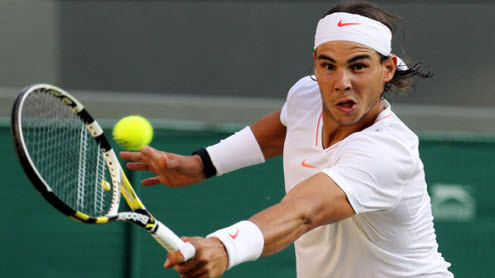 Nadal started the tournament with a straight-set-victory, but had problems in Rounds 2 and 3. He was down 2-1 in sets in his matches against Dutch Robin Haase and German Philipp Petzschner. He beat both of them in the fifth set and advanced to the quarters with a straight-set win over Frenchman Paul-Henri Mathieu. Djokovic is the heavy favorite here. He had some struggles in his first round match against Oliver Rochus. He needed five sets to beat the Belgian. Djokovic beat Taylor Dent and Albert Montanes in straight sets and eliminated Lleyton Hewitt in four sets in the 4th round. Lu won his first three matches in straight sets. He played in the doubles competition as well, so those matches added to his playing load. He shocked Andy Roddick in a five-set upset to eliminate the American in the fourth round. Lu impressed with his serve and his low, hard groundstrokes in the match against Roddick. He will be a tough test for Djokovic, but I think the favorite will come through. Lu is the first Taiwanese player to reach the quarterfinals of a Grand Slam tournament. While he has been a tennis pro for nine years, his lack of experience on the big stage will be a problem. While Lu’s upset of Roddick was nowhere near the marathon-match between John Isner and Nicolas Mahut, the contest lasted for 4 hours and 36 minutes, marking the second-longest match at this year’s tournament. Lu will be more fatigued than Djokovic, who beat Hewitt in four sets. I think Djokovic will prevail in this one, but it is a high-risk, low-reward situation. 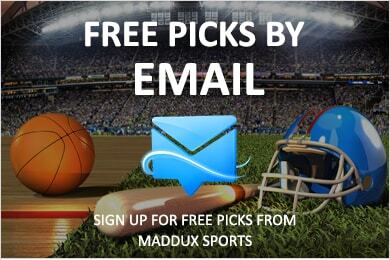 You have to put at least $575 on the line to win $100 (Bookmaker). Federer is the heavy favorite in this one, but he has had some problems on the way to the quarterfinals. He was on the brink of a huge first-round upset, but avoided elimination when he came back from a two-set deficit against Falla. Berdych had a strong start to the tournament disposing of Kazakhstani Andrey Golubev and German Benjamin Becker in the first and second rounds. He needed five sets against Uzbek Denis Istomin in the third round and four sets against German Daniel Brands in the fourth round. While Federer has picked up the pace in his last two matches, but he has looked vulnerable at times in this year’s tournament. Berdych has beaten Federer this year. He advanced to the quarterfinals of the Sony Ericsson Open by winning against the Swiss in three sets. Berdych is definitely worth a look at +425 at Bookmaker. I’m not saying Berdych is a lock to beat Federer, but I think his chances of winning are better than the line. This will be a close one. Soderling came into the tournament as the #6 seed and didn’t disappoint. He won his first three matches in straight sets. The Swede did need five sets against ninth-seeded David Ferrer in his most recent outing, but should be better rested than Nadal. Nadal comes off a straight-set victory over Mathieu, but needed over four hours to win his third round match against Petzschner. He also needed a lot of treatment in that match. He had his trainer work on his sore arm and sore thigh several times. Just like Federer, Nadal has looked vulnerable at times in this year’s tournament. Soderling has shown that he can run with the big dogs, when he eliminated Federer from the French Open earlier this year. The Swede faced Nadal in the French Open Final and lost in straight sets. However, Nadal is better on clay than on the grass-court, so expect a closer match Wednesday. This one is tough to handicap, as it is unclear how fit Nadal is. Bodog has the best line on Soderling at +160, and 5Dimes has the most value for Nadal at -165. Murray comes into the match as the favorite. He has cruised through the draw winning all four of his matches in straight sets. He has home-court advantage with the majority of the 15,000 in the stands on Centre Court cheering for their fellow Brit. Murray is trying to become the first British winner on the men’s side since Fred Perry won the title in 1936. The last British winner on the women’s side was Virginia Wade in 1977. With Nadal and Federer looking more mortal than usual, Murray looks like he has a chance this year. Henman-Hill will be packed with cheering Brits trying to push him to victory. Tsonga has had only one win in straight sets. He needed four in his opener against Robert Kendrick. He beat Alexander Dolgopolov 10-8 in the fifth set in his second round match. Tsonga comes off of a four-set victory over Frenchman Julien Benneteau. Murray should win this one without any major problems. Go to Bookmaker for the best line at -350.